You can watch this testimony below or scroll down for the written testimony! I became pregnant late 2003 and it was the most exciting news ever. I started spotting very early on in my pregnancy but I didn’t realise that this was an indication of something wrong. During the 3rd month of the pregnancy, I experienced severe bleeding in the bathroom and nearly passed out due to the blood loss. My 3 month old fetus then just fell to the ground. Being in a state of shock I was rushed to the hospital and a D&C was performed. My husband and I were devastated. Once out of the hospital, we tried to overcome the loss we went through by telling ourselves that this pregnancy was not God’s will for us. In 2008 I purchased God’s Plan for Pregnancy by Nerida Walker but didn’t pay much attention to it. My husband and I had plans to go to the US and Canada for a holiday that year. We purchased the tickets and applied for our visas. As we were preparing for our holidays, I found out that I was pregnant. 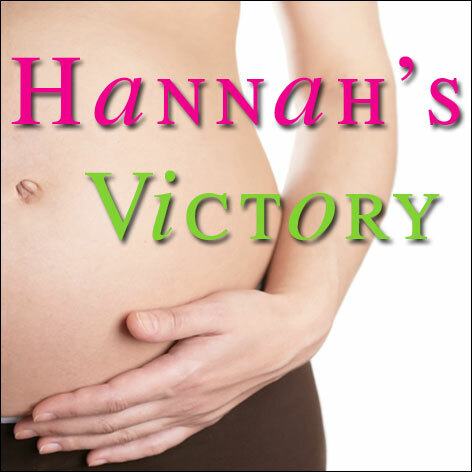 This pregnancy really frustrated me as it was unplanned and it would disrupt our holiday plans. I was so angry with myself for getting pregnant and the thought of going through the pain of losing a pregnancy was still so raw to me. I was even tempted to abort the pregnancy. But I carried on and cancelled our plans to the US and Canada with much disappointment. We did some research to find a good doctor and found someone that specialises in treating women with various complications in pregnancies. We went in to see him and after listening to my history of pregnancy losses he came up with a plan on how to treat me for my first trimester. I completed my 1st trimester without much issues and entered my second trimester. During a routine check up at 16 weeks, my doctor found out that my cervix had opened up and surprisingly I wasn’t in any pain. I was rushed to the hospital and was warned not to move out of the hospital bed. I started bleeding profusely in the evening when I tried to go to the bathroom. The doctors immediately performed a cervical cerclage and I rested in the hospital. The doctors said that it might work as my membranes had not yet ruptured. My doctor performed a scan the next day but the baby had no heartbeat. The cercalage was removed and I delivered my baby boy at 16 weeks. The familiar feelings that comes with each losses flooded my husband and I once again. The heart ache and sorrow just swept over my husband and I. He took our little boy back home and when I was discharged, we buried him. Well meaning friends tried to help us by saying that there might be a generational curse in our family that we needed to renounce. My husband and I went on a journey trying to find out from both our parents where things could have gone wrong in our lineage and then we thought that was the key to us receiving our child. Maybe it was some idol worship in the past, or maybe someone had done an abortion and the curse had fallen on my husband and I. So this was our answer to what we went through. Never once did we have a revelation that Jesus had already borne ALL our curses and today as we believe in HIS finished work we are set free. But that revelation was not there for us yet. Early 2011, my husband moved out to another country on his own due to work and I lived my life in Malaysia. This caused us to further drift apart. Sometime in May 2011, things between my husband and I got so bad that we were on the brink of getting a divorce. But the Lord was not going to let this happen. God started doing something in my life. As I was about to walk out of the marriage, I was reminded of the vow I took at the altar and that Jesus was going to partner with me in restoring my marriage. I went to where my husband was and told him where I stood in the restoration of our marriage and that I would not give up no matter what. I returned home and trusted the Lord to give my husband a change of heart. In August 2011, he quit his well paying job and returned home to Malaysia with the thought of trying to salvage what was left of our failed marriage. We never realised that the losses had actually taken such a great toll on us as individuals and as a couple. In November 2011, God began the process of restoring us as individuals, as a couple, our marriage and our home. He showed us the importance of how we needed to establish our home based on the word of God. I took unpaid leave from work and spent at least 5 months with my husband. We spent each day listening to the message of Grace and this gave us a total shift in the way we viewed God. It was no more how much we did for him but rather how much God does for us through Christ Jesus. We had a better revelation of the love of God for us that He was willing to give up his only son so that we may enjoy all of heavens best. Because He gave us his best-Jesus, He will not withhold anything good from us. We spent time meditating on the finished work of Christ at the cross. Once this was at work in us, we walked in such freedom and there was a sense of lightness. The losses of the past were just swept away. The disappointments, the sorrow and sadness was lifted up. My husband and I enjoyed each other and our time together. God restored our marriage to a point that our love for each other was so much more sweeter then it was even before we got married. The cracks that were there before was not visible when Jesus intervened. Having children was not our priority anymore. It had always been a priority too us in the past, charting ovulation dates etc. But we learned to give it all up and just love life. We lived a let go life and enjoyed each moment of it. The whole of 2012 was a time of restoring our marriage. Isaac Hanan was born on 31 August 2013 at 1.55pm. Isaac means laughter and Hanan means Grace in Hebrew. We named him that because we are reminded that the Grace of God through Christ has brought much laughter in our lives. God reminds me of being a master builder. He first started working in our lives changing us and perfecting us as individuals. While that was going on he started working on us as a couple and restoring our marriage and our home. He then finally restored our bodies and made us whole to conceive our child and he carried us through the 9 months. While I was carrying Isaac, not once did my cervix shorten. It remained long and shut till the day he was born. My doctor did say for most women that have been diagnosed with an Incompetent Cervix that they would experience some shortening of the cervix during the pregnancy even with a cercelage. It was not the pessary that held the cervix but it was the mighty hands of Jesus. My husband and I are in our 40’s but God is no respecter of age. Our lives will never be the same again as we have tasted the Lord and He is so, so good. All glory and honor goes to Jesus for restoring to us the joy of our salvation.